I had a wonderful time at the Liquid Enamel Workshop last week (April 2018). I had very little knowledge or experience and the teacher led us through the basics and quickly into the hands-on. She was always there to guide and assist when needed. The best part was the encouragement to experiment with our own ideas. I enjoyed it so much I have decided to get my own setup. I wish I lived in Sydney so I could attend more workshops. I recommend this course and group to anyone interested in exploring jewelry making. The liquid enamel courses is aimed at anyone interested in working with a different type of enamel, as a way of adding both colour and texture to copper. Liquid enamel can be used in a range of ways – painted, dripped, sgraffitto, layered and ground back, textured and more. In this workshop you will have the opportunity to experiment with all these techniques, using liquid enamel by itself and in conjunction with transparent enamels and other materials. Linda Blair is a tenant at SquarePeg Studios, and is a contemporary jeweller who uses liquid enamel extensively in her practice. 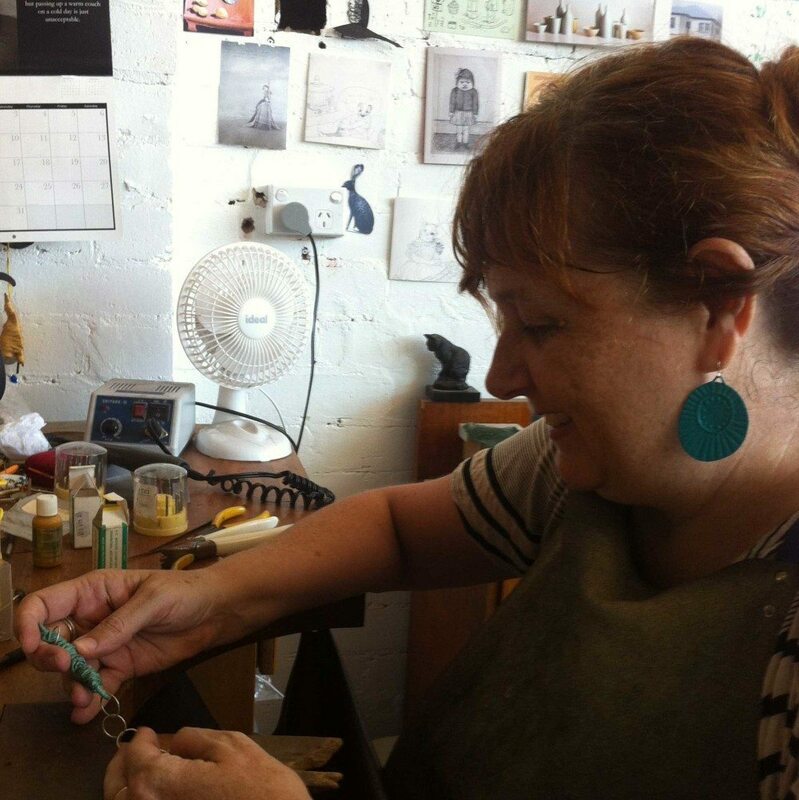 Linda Blair studied Jewellery and Object design and Jewellery Manufacture at the Design Centre Enmore. Linda works with enamel and currently is creating pieces that replicate gems and gem set jewellery, replacing the stones with enamel. Many of these pieces are based on historic jewellery from the 16th to the 20th century. She is also interested in the addition of colour, line and texture to her work. 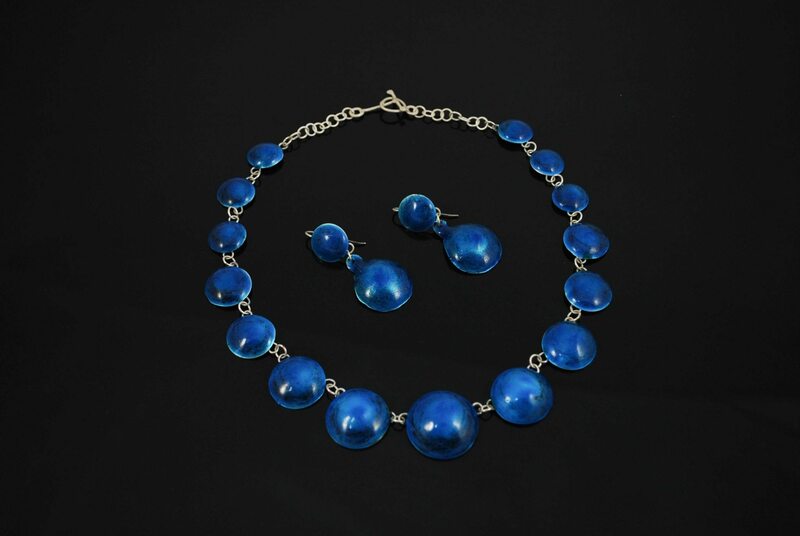 Linda creates one off pieces, with no two pieces being the same. Thanks for the workshop - has totally changed my perspective on enamelling! Can't wait to do some more testing - and possibly buy my own kiln. The potential of this material is so exciting!